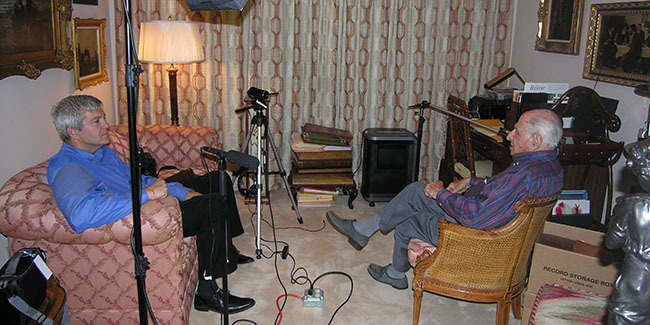 From the fall of 2011 through 2013, BUIOH enacted a project funded by the Texas Holocaust and Genocide Commission (THGC) to capture the stories of veterans living in Texas who took part in the liberation on Nazi concentration camps during WWII. In total, nineteen veterans were interviewed from all across the state, and their combined experiences provide a powerful shared narrative. 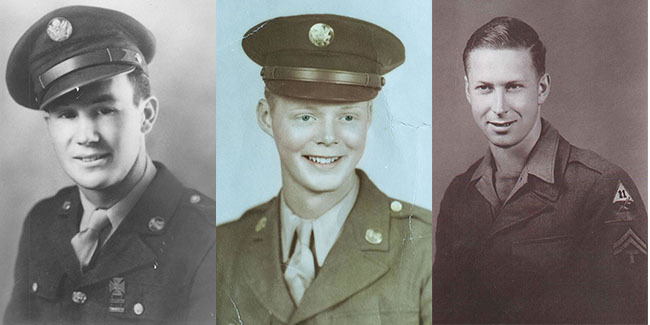 The interviews are framed through a life history approach, beginning with information on the liberator's family and childhood, providing a background of major influences in the veteran's development. The next phase of the interview focuses on the veteran's military recruitment, training, specialization, and deployment. Considerable time was spent during the interviews reviewing the narrators' experiences during the war leading up to their role in liberating the concentration camps. At the heart of the interviews are their experiences as a liberator, with the interviewer drawing out extra detail in sometimes emotional stories. 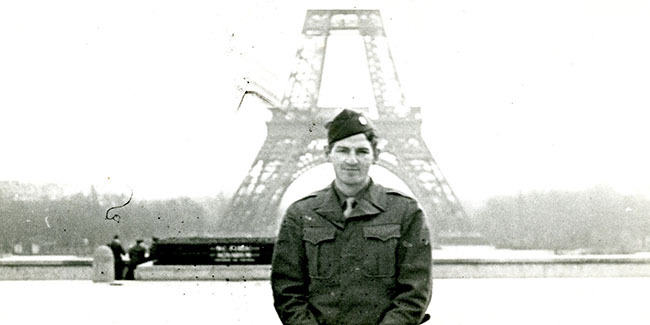 The interviewer then explores their experiences during the remainder of World War II and the story of their post-war life. Each narrator spent time reflecting on the significance and meaning of their role as liberator. Institute Director Stephen Sloan was the principal investigator and interviewer for this two-year grant. 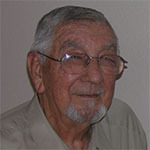 Graduate assistant Robert DeBoard assisted in identifying and contacting veteran liberators living in Texas, recorded the videos, and assisted with the transcript processing. 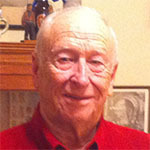 Senior Editor and Collection Manager Steven Sielaff served as video editor for the project, creating trailer clips for each interview and preserving the video. 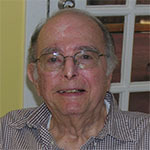 Former Senior Editor Elinor Maze and current Editor Michelle Holland handled transcript processing and final edited the memoirs. Bound volumes of these interviews now reside with the THGC, at every holocaust museum in Texas, and with the Liberators and their families. OHMS stands for Oral History Metadata Syncronizer, a relatively new piece software developed by the University of Kentucky's Louis B. Nunn Center for Oral History. OHMS allows the user to simultaneously engage audio/video with a transcript or index. 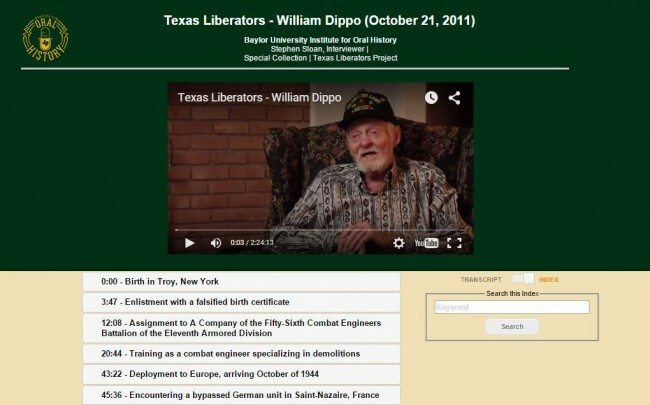 The Texas Liberators project is the first from BUIOH to fully employ this technology for all interviews in the project. When interacting with an OHMS record, you can simply click on a topic or transcript timestamp to advance to that point in the narrative. The built-in search engine provides even greater discoverability while engaged with the video. OHMS records for this project currently exhibit what is termed "Level 1 Indexing," which are simple correlations between topic and time. Future plans for Texas Liberators include enhancing these indices to include items such as map coordinates and hyperlinks for certain topics. 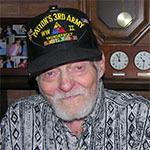 Mr. Anderson served with the Tenth Armored Division, fought in the Battle of the Bulge, and liberated a work camp near Meitingen, Germany. 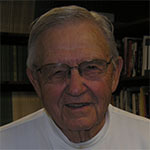 Mr. Buchanan served with the 838th Anti-Aircraft Artillery, liberated Dachau concentration camp, and after the war while stationed in Germany encountered Hermann Göring. 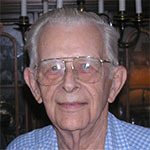 Reverend Canafax was a chaplain with the 110th Engineer Combat Group in Eisenach, Germany, near Buchenwald camp, where he organized worship services for Jewish survivors after their liberation. 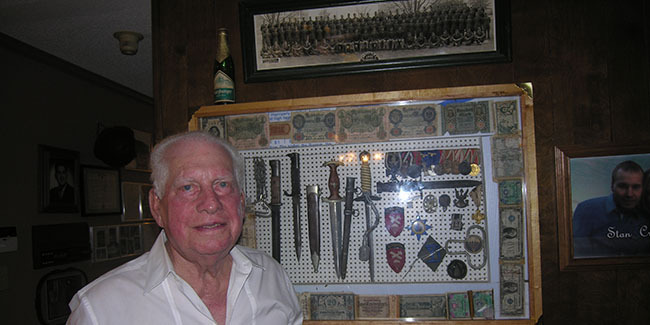 Mr. Danner landed in France on D-Day and moved across Western Europe with the 104th Infantry Division into Germany, where he witnessed the liberation of Nordhausen concentration camp. 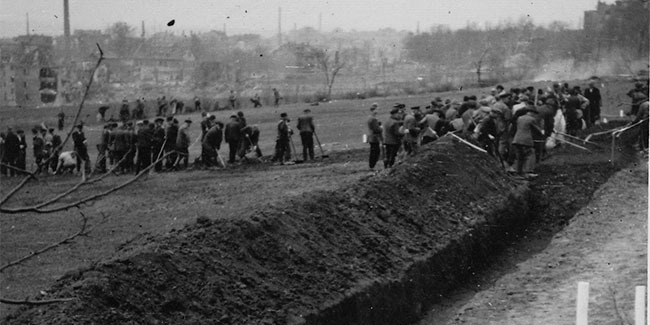 As a combat engineer with Patton's Third Army in April 1945, Mr. Dippo helped bulldoze mass graves for victims at Mauthausen camp and create a water purification system for the survivors. 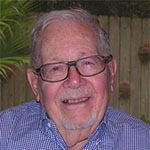 Dr. Hartman crossed Western Europe with the Eleventh Armored Division, which liberated Buchenwald and Mauthausen concentration camps. 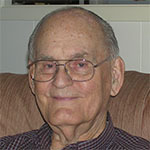 Mr. Havey deployed to Western Europe via North Africa, serving with the Forty-second Division, which discovered and liberated Dachau concentration camp. 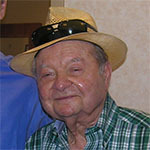 Mr. Josephs, a communications specialist with the Ninety-ninth Infantry Division, took part in the Normandy invasion, was wounded in the Battle of the Bulge, and carried out orders from US Army Intelligence in Germany to investigate Dachau concentration camp as it was liberated. 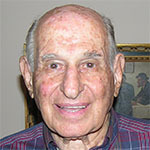 Mr. Liberman was an army engineer who fought across France, Belgium, and Holland into Germany, where he witnessed the liberation of Nordhausen work camp. 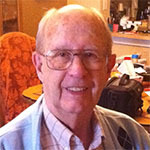 As a US Army Intelligence specialist, Mr. Miller investigated Nazi concentration camps at Dachau, Ebensee, and Mauthausen upon their liberation. 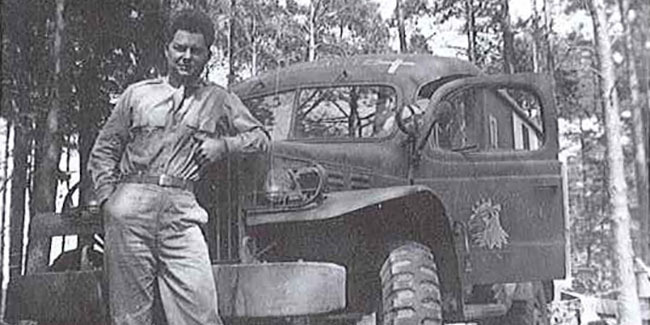 Mr. Morgan served in an armored division in North Africa and Italy before entering France and reaching Germany, where he helped liberate Dauchau camp. 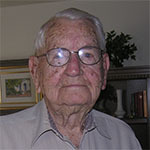 Mr. Reynolds was an army engineer who witnessed the liberation of slave laborers in a secret German bomb factory and at Nordhausen work camp. 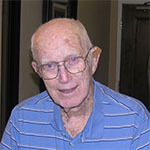 Mr. Rohn, who served in the Fifty-sixth Armored Engineers Battalion of the Eleventh Armored Division, reached Mauthausen camp the day after its liberation and helped bury victims and round up escaping German soldiers. 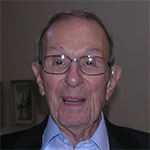 Mr. Stern, a native of Germany who became a US citizen after being drafted into the US Army, conducted translation and intelligence operations with the Ninety-ninth Infantry Division and helped liberate Nordhausen slave labor camp. 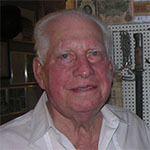 Mr. Valls served in the Fifty-second Armored Infantry Battalion of the Ninth Armored Division and was one of the discoverers of the Bergen-Belsen concentration camp. 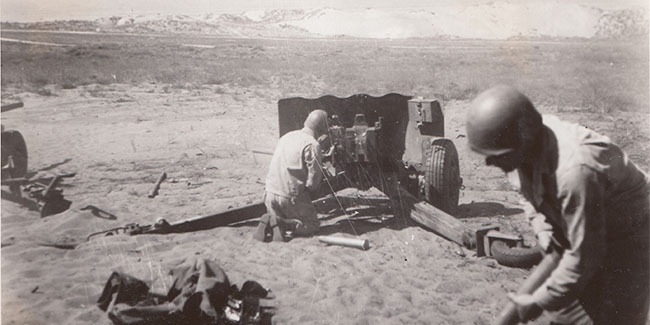 An ambulance driver for the American Field Service, Mr. 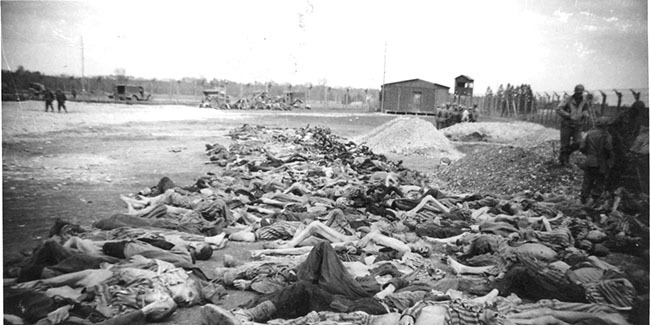 Waters entered Bergen-Belsen camp with the Ninth General Hospital and witnessed the evacuation of female survivors and burials of victims in mass graves before the camp was burned down because of a typhus epidemic. 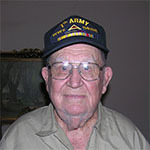 Mr. Watson served in the Eighty-seventh Chemical Mortar Battlion, Company C, and participated in the discovery and liberation of the Buchenwald camp. 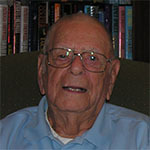 Mr. Wessels was serving in the Seventy-fifth Infantry Division in 1945 when it discovered a German slave labor camp inhabited by political prisoners. 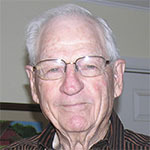 Mr. Womack served in the Thirty-sixth Infantry Division, which saw action in North Africa and Italy before reaching Germany, where it liberated the Landsberg camp and helped its survivors take refuge in Switzerland.